I would say the most important area where my life was messy was my spiritual walk with Jesus. I wasn't in the Word regularly. I have tried several read the Bible in a year plans in the past and I have failed every time. This year I am trying a new plan called the 5x5x5 Bible reading plan. This reading plan takes you through all 260 chapters of the New Testament, one chapter per day. 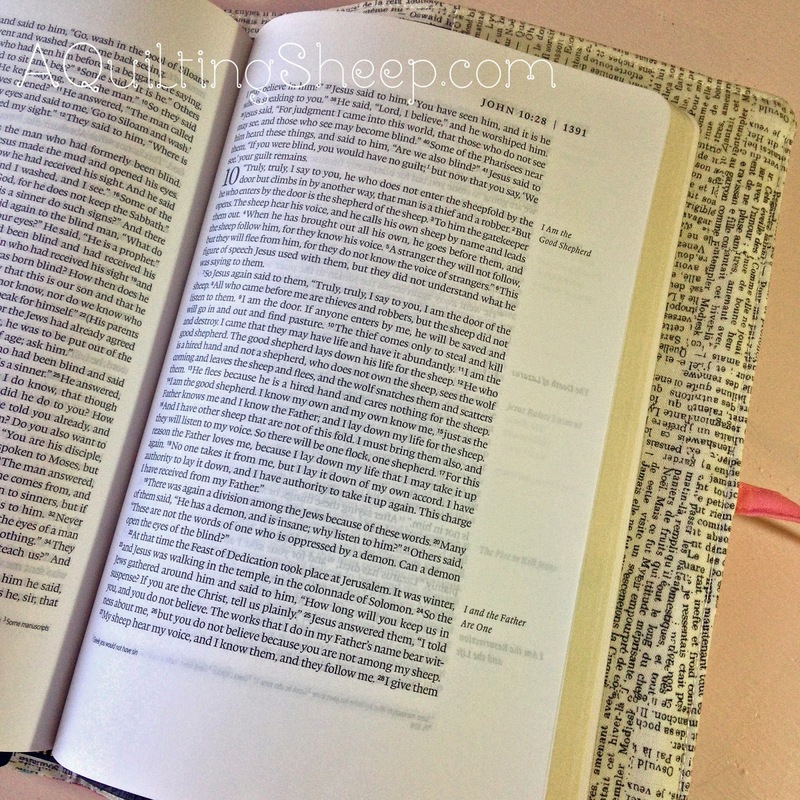 The gospels are read throughout the year to keep the story of Jesus fresh all year. That is manageable! The ESV Legacy Bible by Crossway was perfect! My MacArthur Study Bible will still be used when I need more information. Here is my new Bible sporting a new cover I made. The tutorial can be found at Amy's Creative Side. Clean, easy to read pages. I love it!! If you look carefully, the last sentence on this page is the Scripture I use in my blog header. =) I need to get it underlined!! This was the first thing that drew me to your blog - a fellow believer. Thank you so much for sharing! Time with the Lord is the best spent time of the day. Are you familiar with Bible Study Fellowship? That REALLY helped me stay accountable in the Word and genuinely learn. I had to drop out this academic year because of other responsibilities, but I would highly recommend it. The wide margins look awesome! I used to want to keep my Bible nice and clean and then I realized that I wasn't using it as I should. So now I mark it up! Amy your bible cover is awesome. I love it. You did a great job. You are starting in the right place, thank you for sharing! A very good goal! 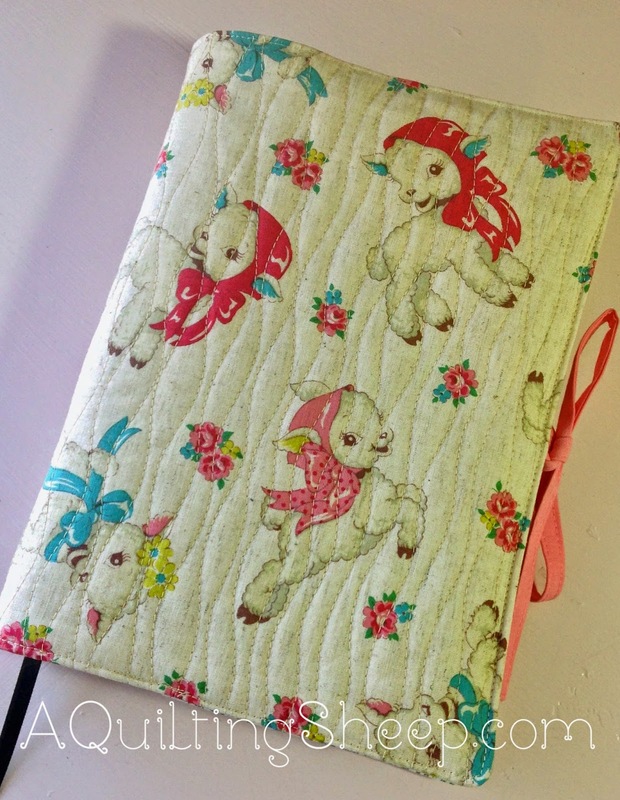 I love, love, love the fabric of your new bible cover! Gorgeous fabric for your cover.